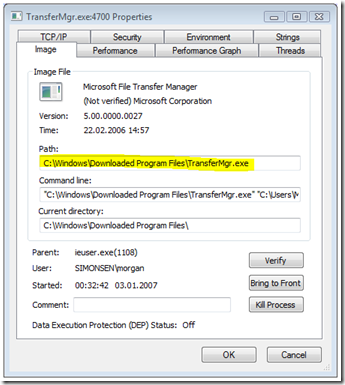 Everyone downloading from MSDN, the MCT Download Center or any other semi-open Microsoft download site, is familiar with the Microsoft File Transfer Manager application. It is a rather nice utility that is installed on your machine the first time you start a download from one of the sites I mentioned. It supports queuing and resume of downloads. As I said; nice. I have gone through this exercise many times and I know where the FTM is installed, or at least I used to know, back when I was running Windows XP. 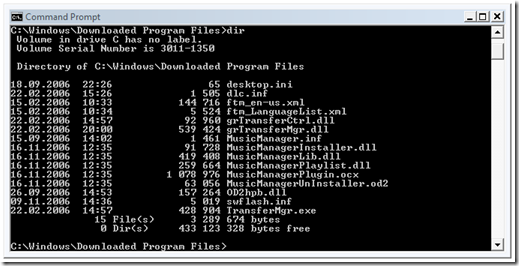 Then it was something like c:\windows\Microsoft File Transfer Manager. But now I am running Vista, and it’s not at that location any more. I set out to find it, I mean, how hard could it be? Finally I could see all the files. Now how do you make a shortcut from the command line? That’s right, you can’t (at least I don’t know how). So that left me with trying to view the actual files present in the Downloaded Program Files directory in Explorer, where I could create a shortcut. 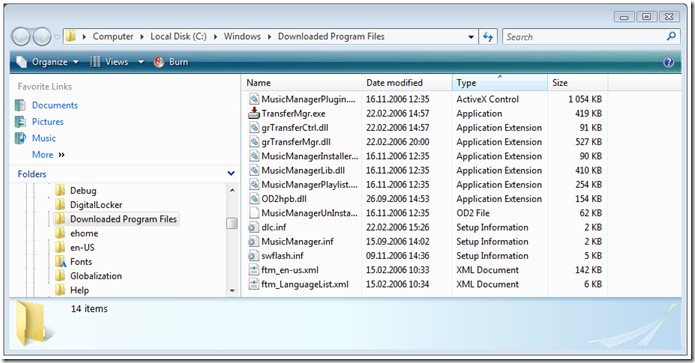 A folder’s layout in Windows is controlled by a file called desktop.ini. 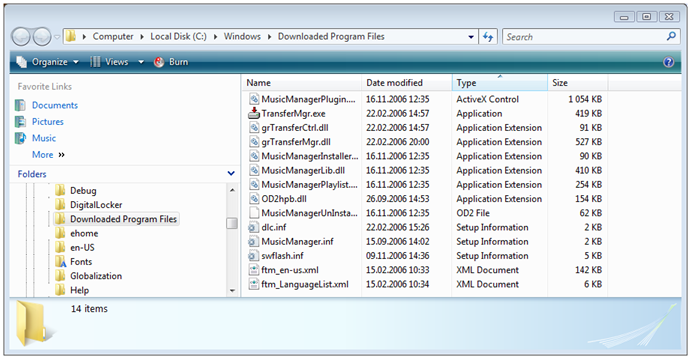 It is present in almost all directories on a Window system and controls everything from the icon of the folder, it’s name and localized name. You can do some cool stuff with desktop.ini, but that is beyond this post. 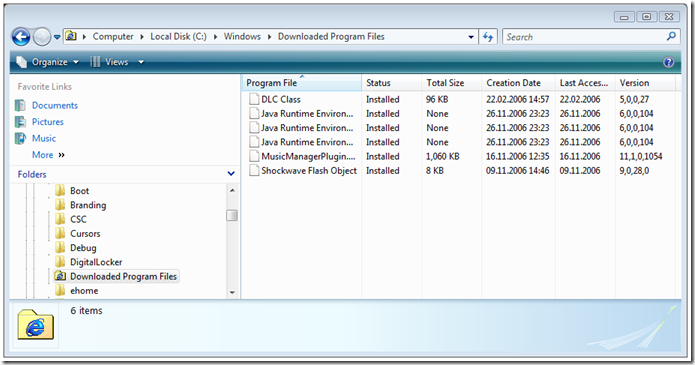 My guess was that it was the desktop.ini file that was responsible for the limited view I could see in Explorer. So let’s get rid of it. OK. So what are the file permissions? 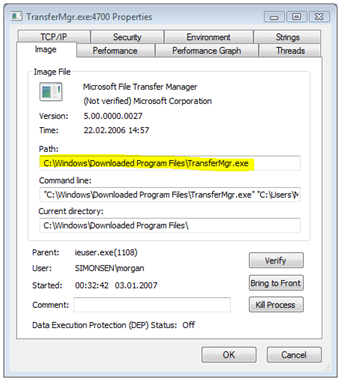 The only account that has Full Control permission to the desktop.ini file is the NT SERVICE\TrustedInstaller principal. So who is the owner? Again, the NT SERVICE\TrustedInstaller principal. Note: subinacl is not included in any Windows version and must be downloaded from the Microsoft Download site. 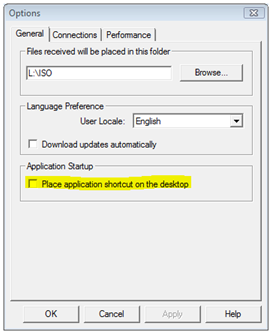 It is included in the Windows Server 2003 Resource Kit, but that version does not work. Note: You must run the above command from an elevated command prompt. Note: You have to close Explorer if it was open during the desktop.ini manipulation. Otherwise the customizations in desktop.ini are cached and remain in effect. Actually I knew that the option was there. Trying to save time, my first attempt was just to try to locate it in the file system and then launch it and click the option. But then I couldn’t and as I started investigating I discovered some interesting stuff about Windows Vista and that made it all worth while. You, of course, have to replace my paths with your own.